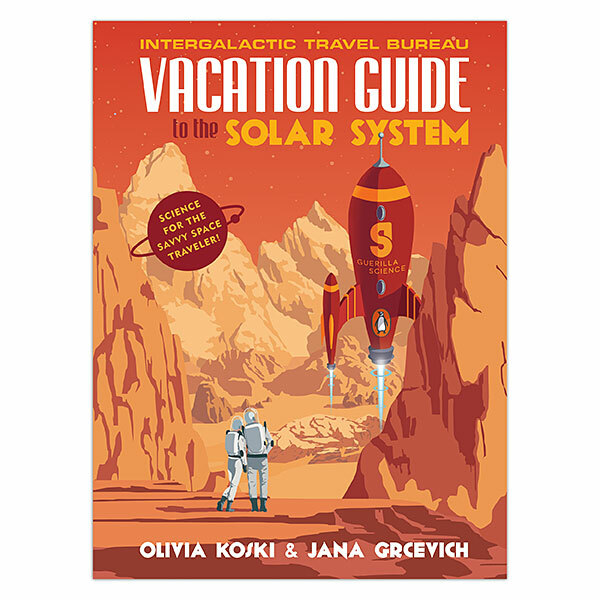 If you or any of your friends write science fiction set in space, check out this great resource: Intergalactic Travel Bureau Vacation Guide to the Solar System, by Olivia Koski and Jana Grcevich. It's a lot of accesible real science about realistic space travel and how things work on the moon and the planets in our solar system. Mixed in with this science is a lot of great speculation about what tourism would look like in a more space-faring future. It's already inspired ideas for a couple of short stories, and I'm going to read through a lot of the first chapter again and take notes on what space travel would really be like. It's also simply a fun and interesting book, beautiful with its helpful illustrations and retro-chic travel posters for outer space. Check it out from your library or get the Vacation Guide to the Solar System on Amazon. I recommend the actual paper version to appreciate the full aesthetics. 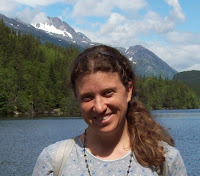 Melinda, I did a book review several years ago on an astronomy book for kids. Similar to A Space Travel Guide, it was full of great information for science fiction writers. I still have the book, The World's Easiest Astronomy Book. Sounds great. I'll have to look it up.